I was very lucky to share my Sunday morning meal with some of my favourite people in the world. The lovely, gorgeous Holly has given up her house and her garage and ANOTHER of her weekends to help us with our big move. 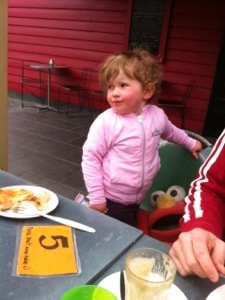 After a big Saturday of moving household items, and before the final items were moved out and a big clean up (another thing Holly helped us with), we visited The Happy River Cafe in Footscray to eat a yummy breakfast. 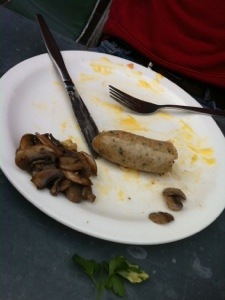 Sorry about the photos of the half eaten meals, but I forgot to take them at the start…must have been so hungry that all I wanted to do was EAT! 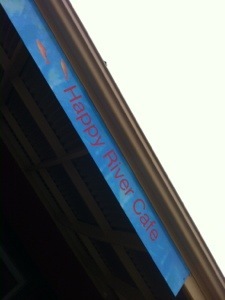 It was a lovely morning, eating at The Happy River Cafe. Thanks Hol – you’re really the BESTEST!! 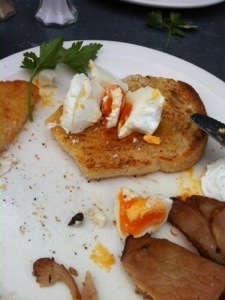 That breakfast sure looks good – good luck with the move! Thank you and you are very welcome, I am happy to help you out, as I am sure you would help me if the roles were reversed. 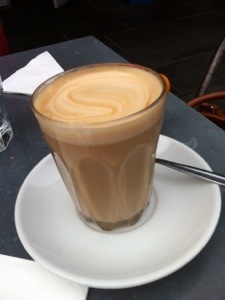 It was a yummy breakfast – just wish they had LARGE coffees! Oh that is absolutely lovely! I am so glad everything is coming together. Breakfast sounds like a really good idea right now!